What does "all-in" mean in poker? - Casino Answers! Casino Answers » Poker » Online Poker Beginner Q&A » What does “all-in” mean in poker? “All-in” is the terminology used during a poker game when a player has moved all of their chips into the pot. For example – in a no limit Texas Holdem poker tournament game – Player A raises to 800 chips. Player B has 1500 chips. Player B could put all of those chips into the pot, and then be all-in. Player A would then have to call the 700 remaining chips for them to go to a showdown. That’s what “All In” means. It’s something that you will commonly see in No Limit Holdem Games. You will see it in Pot Limit games as well assuming the pot amount will allow the player to move all-in. And you will also see it a lot less at limit games – where the player would have to have a relatively small amount when starting the hand. While “All-In” is obvious – some people are confused about how this affects the other players at the table, so we wanted to cover that in this article, as well as cover a few tactics when it comes to the all-in play. Let’s assume the scenario that Player A raised to 800 chips, and Player B then went all-in for his remaining 1500 chips. Player A does not have to call the all-in. Player A could fold, and Player B would then get back the 1500 chips he put in, plus the 800 chips that Player A put in(and any additional chips in the pot from blinds). If Player A calls the all-in for the 700 chips, and he has 20,000 chips then he does NOT put in all 20,000 or go all-in himself. He would put in just the 700 chips required to cover the amount Player B put in the pot. If Player A has LESS than 700 chips remaining – let’s say 600 chips – and he wanted to play this hand, then he would call the all-in, go all-in himself for 600 chips. Player B would then get refunded 100 chips(meaning he wasn’t actually all-in). So if a player at the table moves all-in, you only need to match that amount. Another confusing aspect when it comes to the all-in is when it comes to the sidepot. Let’s stick with the example above. Player A raises to 800 chips. Player B moves “all-in” for the remaining 1500 chips, throws on his sunglasses and sits back looking all confident. However now we have Player C. Player C likes his hand. Player C decides to call the 1500. Player A also likes his hand, and he decides to call as well. So now we have a 4500 main pot(plus additional blinds/antes). Whoever wins the hand will get this amount. The flop comes, and Player B, who went all-in, has to sit back and wait for the others to play through the hand. At no point is he allowed to show his cards otherwise he is voiding his hand. Player A likes the flop. Player A bets 1000 chips. Player C also likes the flop. He calls. This is now a combined 2000 chips, which goes into a side pot. Only Player A and Player C are contesting over this sidepot. Once the hand is over, they will first determine who win between Player A and Player C. Whoever wins between those two will get the sidepot. Only AFTER that will Player B factor in, as they will then determine who wins the 4500 main side pot. We’re not going to be giving you a full analysis of the “All-In” move in poker. There are complete poker strategy books on that topic. However we’re going to give you a “For Dummies” guide for when you should, or shouldn’t move all-in when it comes to poker. Preflop, If you’re in a tournament setting, have less than 10x the blinds available, and have a decent hand. Preflop, If you’re in a tournament setting, have less than 10x the blinds available, are either in the cutoff, button or small blind positions as a bluff or semi-bluff. Preflop, If you’re in a tournament setting, have less than 10x the blinds available, are in the big blind position and 2-3 players have simply called. If you are up against a solid player who you know can outplay you post-flop. Simplify things, and give him the decision to make. If you believe your opponent has a big hand, but you have the nuts and the pot is roughly close to the amount of chips you have left. If you just lost a big hand, and immediately picked up a really good hand. You’d be surprised at the moment of people that will call with trash thinking you are on tilt. If you have a marginal or drawing hand, and are up against a tight player or a player low on chips. You want to make the move because you’re happy for them to fold, but also don’t mind the call. If you have 5x or less the blinds and have a marginal hand like any Ace. As a “squeeze play”. This is advanced strategy – where a player in front of you has raised, and the next player has called. You go all-in here to squeeze them out. A few eliminations left for the tournament to cash. You need to pick your spots here but most people will be playing extremely tight hoping to get paid a little cash. If you have a big stack you can easily abuse this. If you have pocket aces. That’s not to say you should never move in with pocket aces – but don’t just see the pocket rockets and blindly move all-in. There are a ton of factors to consider. If you have a weak hand, and there has already been raises or calls in front of you. This is one that depends a lot on the players. As a bluff, if there are players in front of you with only 2x-5x the blinds. They are more likely to call with trash. Do I Have to Show My Cards When All-In? It’s a general misconception that you have to show your poker hand when you have moved all-in. This misconception comes from TV poker like the World Series of Poker and the World Poker Tour, which makes it mandatory to show your cards, to make it more entertaining for the TV player to watch. 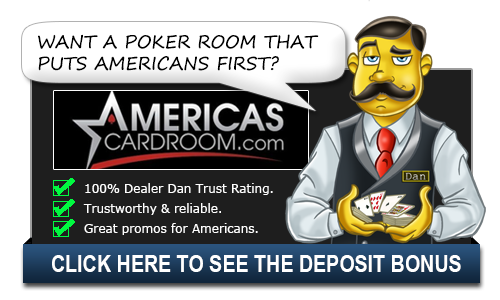 The rules in regard to all-in and showing your cards usually vary from card room to card room. Online poker for example, the majority of rooms will force you to show your cards in all-in situations in tournaments, but not force you to show them in cash games. This is generally accepted as the standard in live casinos and live poker rooms as well, although a few rooms will vary with this rule. It is not wise to show your cards unless completely required however – the less information given to the player, the better. If you are looking to play online poker at a room that does not expose the cards during an all-in situation in a poker cash game, check out Fortune Poker.